A pending wave of international gambling operators pulling their online-poker and casino offerings from Australia picked up steam today when the planet’s second-largest online poker site, 888Poker, terminated all such services to the country’s citizens today, effective immediately. Though surprising in its abrupt implementation, the move by 888Poker was expected at some point in the near future. All online-gambling operators offering services to Aussie bettors will be subject to hefty multi-million-dollar fines should they continue to remain open to those betters once a series of amendments to Australia’s online-gambling laws come into effect, as early as next month. 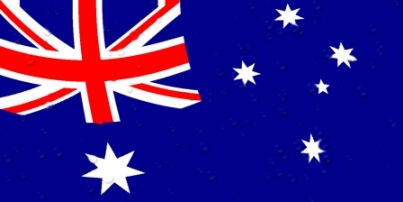 Those amendments, collectively referred to as Australia’s Interactive Gambling Amendment Bill 2016 [IGAB], were approved by a government ministry in November and are expected to ratified quickly once Australia’s Parliament re-convenes next month. The takeaway from the amendment package is that all online-gambling activities not specifically authorized, such as sports betting, will henceforth be illegal in the country. Online poker and casino games, once a grey area, will now be on the wrong side of Australia’s legal line. 888Poker could have waited a few more weeks before pulling the virtual plug, but chose to exit at this time. The site joins online-slots operator Vera&John in exiting Australia before the amendments are officially ratified. Many other sites are expected to follow, including online-poker market leader PokerStars, which announced its intent to do the same in a corporate earnings call a couple of months back. Australian online-poker players typically account for 2-5% of an online-poker site’s global market traffic. PokerStars, the global online-poker market leader, was still confirmed as offering services to Australia’s players as of today. 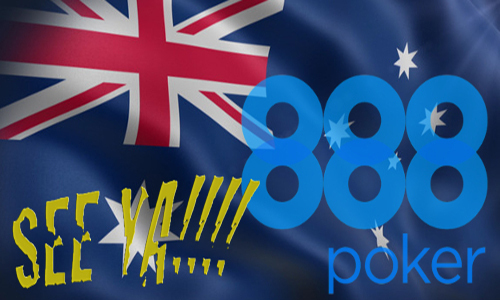 “Following a business reevaluation, we’d like to inform you that 888poker’s services are not being offered to players residing in Australia and therefore your account will be closed as of 16/01/2017. “You can still withdraw funds from your bankroll at any time using our web cashier. Major international operators have little reason to flaunt the pending ban, and its outsized fine of up to AUD $6.75 million per day for “operating without a license” — since none will exist authorizing online poker. Most large international interests have either direct sports-betting products or partnerships in other jurisdictions that require them to be compliant with such prohibitions around the globe. Given the likelihood that all major poker operators will soon exit Australia, the country is very likely to become a smaller version of the United States, with its online poker players driven to smaller sites that have less exposure to Australian authorities. A handful of well-known Aussie online pros are likely to move to other countries to continue plying their trade, while most others will either search for alternative sites or simply curtail their online play.